Hey folks. I wanted to say that my daughter just started playing today. It's her first MUDD experience so y'all keep an eye out for real newbies. I'd love it if she fell in love with Achaea and MUDDing for the same reasons I did, the fantasy and the community. Just keep in mind that all new characters aren't alts or transplants. There are still some real newbies trickling in. The patient guidance and comradery is what really hooked me in the beginning. Thanks y'all. Never ever ever let her browse the forums. At least not the rants section. I'd also suggest that she be as vocal as possible to her needs over whatever city/house/clan she winds up being a part of. It's hard to help people if you don't know where they need help. Closed mouth don't get fed... as my roommate would say. @Szanthax Yeah. I told her not to be shy in asking for help when I'm not around. I started her out in Eleusis. They're a pretty helpful lot. We're going to work on getting her into a house later today. Regarding all of that, do any of you females in Eleusis mind keeping an eye on her for me? Chasing the pervs away with a stick would go a long way toward creating a better experience. She hasn't had any trouble with any of that, yet, but there's nothing wrong with a little insurance. Find Quai in game and I'll point her out. 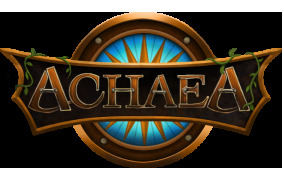 I think it's awesome that as a parent, your spawn has taken an interest in Achaea, likely as a result of seeing your interest and excitement about it. That's a truly awesome thing. Hope she finds her niche and enjoys it. Unfortunately, there can be some rather unsavory parts to the game where people seek out novices and harass or solicit them from time to time. Just keep in mind that should such encounters happen, they can (and should) be reported, and the admins have already mentioned multiple times they have a zero-tolerance for such things.